2016 saw a good amount of stealth games released on all formats, and Lince Works’ Aragami was among the best of them, not an easy feat considering the high quality of most games released in that year. Desiring to create a spiritual successor to the Tenchu series, the development team managed to create a compelling title that manages to stand on its own thanks to its well-crafted gameplay experience, setting, and presentation. Now, the Aragami story and gameplay are getting expanded with the Aragami: Nightfall DLC, which is a more than worthy piece of additional content for fans of the main game. 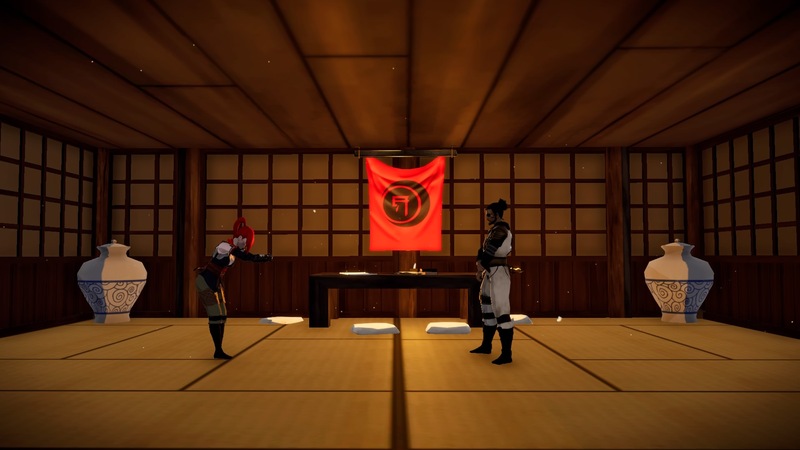 Aragami: Nightfall stars two main characters, Hyo and Shinobu, two shadow assassin’s who are after the mysterious Alchemist to bring back a companion who has been lost for some time. The story takes place before the events of the main game and provides additional backstory to the awakening of Aragami. The Nightfall story, to be honest, isn’t particularly original, but it does its job well, providing a good backdrop for all the stealth actions found in the four new chapters that comprise Nightfall. Sadly, the two characters don’t have hugely different stories, with the differences found mainly in select optional documents scattered around. 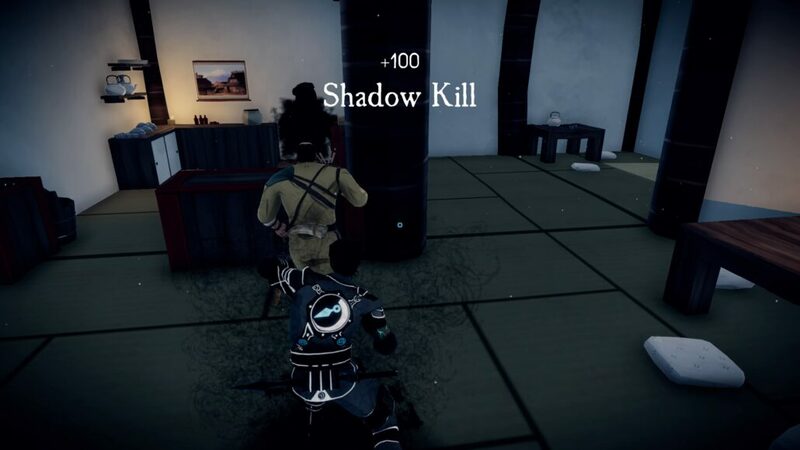 Aragami: Nightfall’s gameplay isn’t much different from the main game one, offering the same stealth gameplay experience augmented by a wide array of abilities that require shadow power, which can only be gained by staying in the shadows. Like in the main game, being close to light depletes power, locking all available abilities. Forget going all out as well, as there are still no close combat options. Gone are the Demon Powers and Ghost Powers from the main game, with four Shadow Techniques taking their place. Among them, three are completely new and offer additional ways to deal with the new scenarios, which are as varied as the ones found in the main game. One of the new techniques is particularly interesting, as it works slightly differently when used in single player and co-op mode, which comes back in full force, and with consoles to PC cross-platform functionality as well. Adding replay value are plenty of collectibles, and a ranking system which ranks the performance of each chapter: if you want to make it to the top of the leaderboards, you will have to play flawlessly. The presentation also doesn’t feature any major difference from the main game. Menus are simple and functional and the cel-shaded graphics give everything a unique atmosphere. Performance on a regular PlayStation 4 is mostly solid, but there are some light frame rate drops with multiple enemies on screen. It’s nothing major, thankfully, so it doesn’t impact the experience too much. At the end of the day, Aragami: Nightfall doesn’t really introduce anything new to the experience, with the development team preferring to expand and polish the gameplay experience from the main game with some tweaks and enhanced features. Those who didn’t found Aragami to their tastes will hardly change their opinion with the DLC. Those who loved Aragami, however, will find everything they liked in the game and even more in Nightfall. PlayStation 4 version tested (code provided by the publisher). Aragami: Nightfall is a worthy expansion for the stealth game developed by Lince Works, with four new story chapters taking place before the awakening of Aragami, new Shadow Techniques and new scenarios, which are as varied as the ones found in the main game. As the DLC doesn't offer anything substantially new, however, those who didn't like the main game will not change their opinion with Nightfall.